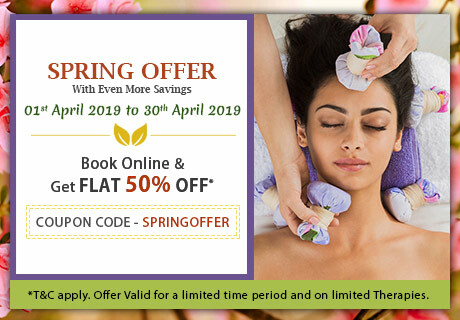 Ayurvedic treatments is an ancient practice that is considered as the best natural form of healing that originated some 5,000 years ago in the Indian sub-continent. Ayurvedic treatments as we all know is a natural process to cure, heal and improve the mental, physical and emotional condition of human beings. Ayurveda is a way of life that teaches everyone to enhance their lifestyles in a healthy way and understand the different changes occurring in the body. The ways and means followed by Ayurveda are completely based on the Vedic principles and learnings. The Ayurvedic treatments helps to increase the longevity of life and indicates the measure of a healthy life. Treatments inspired by Ayurveda are those that follows the natural curative techniques thus improving the health condition of an individual. There are various cleansing procedures that are highly beneficial to eliminate the toxins from the body so that the body can breathe freely. 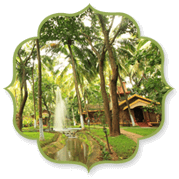 Kairali-The Ayurvedic Healing Village, situated amidst the beautiful lush greenery in Palakkad, Kerala, provides with some of the best Ayurvedic treatments by top-class experts. A team of experienced doctors and physicians are present at this health resort who prescribes the relevant treatment to the patients. This hospital and retreat centre is NABH certified and is acclaimed to be one of the best wellness centres. As mentioned above that Ayurveda is an ancient discipline, its history dates back to 6000 BCE and the recorded texts of Ayurveda were evolved from the Vedas. In the modern times the demand and popularity of this ancient discipline is widespread. The history of Ayurvedic treatments can be seen where the sages used to use medicinal plants and herbs to cure diseases or in any cuts and wounds. India is considered to be the largest producer of medicinal plants. It was directly applied whenever needed but with time and also with the advancement of science and technology, the same plants and herbs are used but they are now converted to tonics and tablets that help cure diseases. Kairali has been maintaining the same reputation and authenticity of Ayurveda by manufacturing such products for the benefit of the human society. The human body is made up of three components as per Ayurveda and those components comprises of two elements each. The components are - Vata, Pitta and Kapha. Vata dosha comprising of space and air governs all the movement in the mind and body. It controls the blood flow, elimination of wastes, breathing and movement of thoughts across the mind. Pitta dosha comprises of fire and water that is responsible in governing all the heat, metabolism and transformation in the mind and body. It controls the way we digest the food and how we metabolize our sensory perceptions. It lets us differentiate between what is right and wrong. Last but not the least Kapha comprising of water and earth governs all structure and lubrication in the mind and body. It controls the weight, growth and lubrication for the joints and lungs and formation of all the tissues in the body. Ayurvedic treatments with its dynamicity serves to be an all-round guide of human existence. Because of the fact that Ayurveda is not only a form of medical science but a way of life, Kairali-The Ayurvedic Healing Village has taken this principle forward by setting an example of the traditional and authentic discipline. It has been an epitome of good health and well-being that serves the finest hospitality and accommodation facilities. With the presence of expert and experienced doctors, physicians and therapists, this health retreat is a home to all the weary travelers and people who has physical health issues. Ayurvedic cuisines by master chefs is another feature of Kairali that helps to heal from within. It is said that good and healthy food is the way to a healthy body. Ayurvedic treatments are the key asset that Kairali Ayurvedic Group stands for. Numerous Ayurvedic therapies ranging from body massage, head massage, foot massage and many more are available at the healing village that are delivered in the true Ayurvedic way. 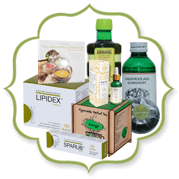 It is very beneficial for the human body as it helps to transform the body completely into someone better and healthier. Complete relaxation is attained after an Ayurvedic treatment which is further useful in continuing an active and successful life. Ayurveda is such a form of medical science that it almost has solutions for every health-related issue and recommends a natural way of living. The traditional knowledge and practice of the age-old discipline compliments any kind of lifestyle disorders and finds out ways and means to incorporate a healthy regime for a stress-free life. There is no specific age-group as to who can go for an Ayurvedic treatment. Starting from teenagers to the old, everyone can willingly go for therapies and treatments. It is rather good if people start from a smaller age and remain health conscious to avoid any unnecessary and unwanted changes in the lifestyle. It is highly beneficial for everyone who has faith in the powers of nature and who believes that leading an Ayurvedic life can transform the mind, body and soul. Kairali-The Ayurvedic Healing Village in Palakkad offers the most authentic Ayurvedic treatments and we have seen that people from the age group of 18-90 come for consultations on various health issues. Most important is that it is very good to see patients coming not only for treating their medical disturbances but also for preventative purposes. 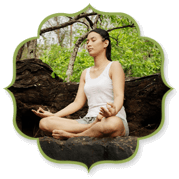 This NABH certified hospital is one of a kind that believes in the overall development and transformation of the individual due to which it also conducts Yoga and Meditation sessions for people staying at the villas and also has managed to follow a strict Ayurvedic diet regimen that helps heal from within.